The polished aluminum percolator brews perfect coffee and automatically holds it at the ideal serving temperature. Features cool-touch handles and an indicator light to tell you when brewing is complete. Has a graduated sight line, indicating how much coffee is inside. 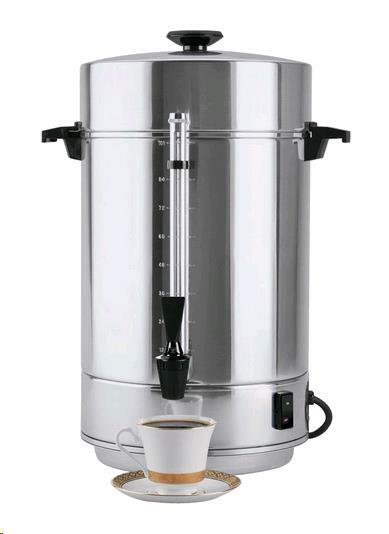 This urn is ideal for caterers, restaurants, schools, hospitals, nursing homes, offices and shops. ** Please call us for any questions on our coffeemaker 100 cup rentals in Fairview Heights IL.